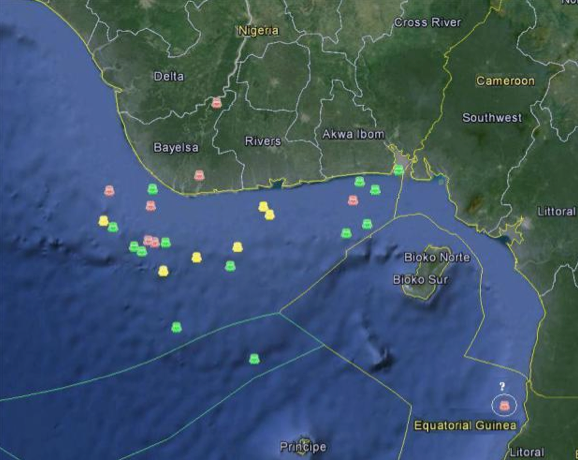 The vast majority of piracy incidents in the Gulf of Guinea go unreported. Although there were no kidnappings off Nigeria reported to the International Maritime Bureau (IMB) in 2011, the number of kidnapped mariners jumped to 26 in 2012 and then to 36 last year. Kidnap for ransom is also increasing relative to other types of piracy (such as petty robbery and tanker product theft), with 60 percent of pirate boardings off Nigeria in 2013 resulting in abductions—up from 53 percent and 28 percent in 2012 and 2011, respectively. The pirates’ range has increased over the past two years, with several outlier attacks occurring up to 150 nautical miles offshore. The use of hijacked “motherships”—typically supply vessels and fishing trawlers—has enabled this expansion and demonstrates a heightened level of organizational planning. Shipping and oil companies are known to discretely pay ransoms of between $50,000 to $100,000 per head. The largest reported ransom was the $2 million allegedly paid in November 2013 for the release of the two Americans seized from C-Retriever; a sum suspected of prompting further attacks. As a result, American-owned companies, like Edison Chouest, will be less inclined to send American crew members aboard its vessels because those personnel are high value targets for hijackers. And due to increasing frequency of hijackings, it will be more difficult for American companies operating in the Gulf of Guinea to find qualified personnel willing to put themselves in harm’s way. This increases day rates for mariner wages, insurance rates, and lost opportunity costs. Because of the high costs associated with operating in the region, American companies will be unable to compete. This results in direct economic impact to American companies and the American GDP.